This handbook provides an updated view of the state of knowledge based on data collected from different research and development projects in which the author has intervened. It includes tables and graphs that allow a compression of the design criteria for calcite beds and especially for those of up-flow and constant height in different environmental conditions. With a direct and simple style, the author relying on his years of experience has tried to generate a useful and eminently practical document. 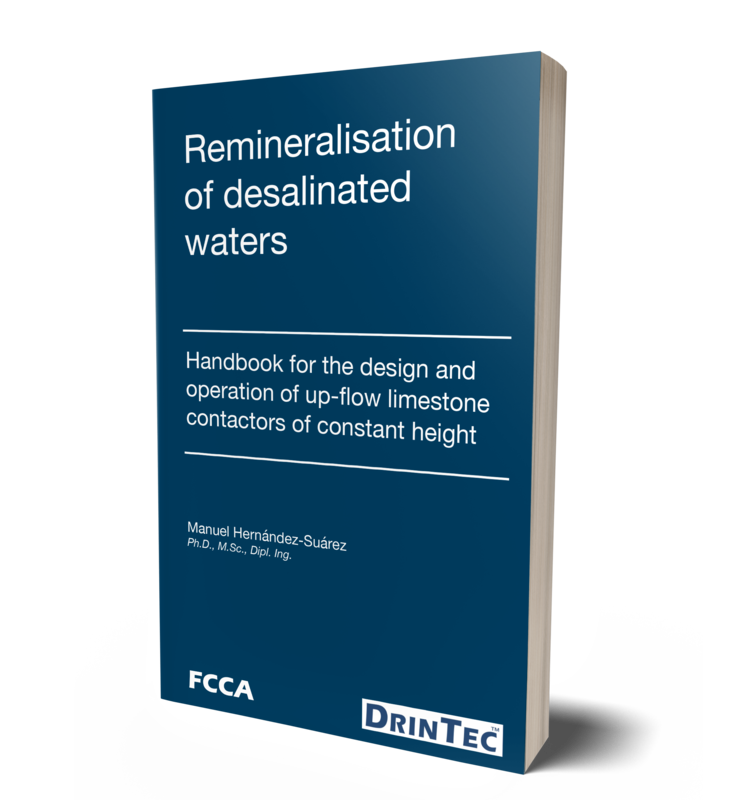 It is presented as an extension of the Guideline for the Remineralisation of Desalinated Waters by the same author (M. Hernández, 2010, available on www.fcca.es). This handbook offers new results and the modification of certain curves in accordance with the work performed and experience acquired since that time. 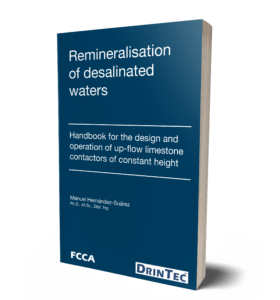 The objective has been to build on the aforementioned Guideline with updated design criteria for DrinTec™ type up-flow limestone contactors of constant height. Information already published in the Guideline (2010) is repeated only when it has been necessary to enlarge upon the text. As in the case of the aforementioned Guideline, in the present report desalinated water is understood as being the permeate water from reverse osmosis plants, coming from either seawater or brackish waters. However, most results would are applicable to distilled water.